When we were walking on the streets trying to find food, we saw a possibility and looked at the specials... they were serving kangaroo! We ruled that place out as a possibility! The day after we saw the kangaroo bonanza restaurant we went to the locks that are right next to the bridge where you can cross over from Canada to the US. 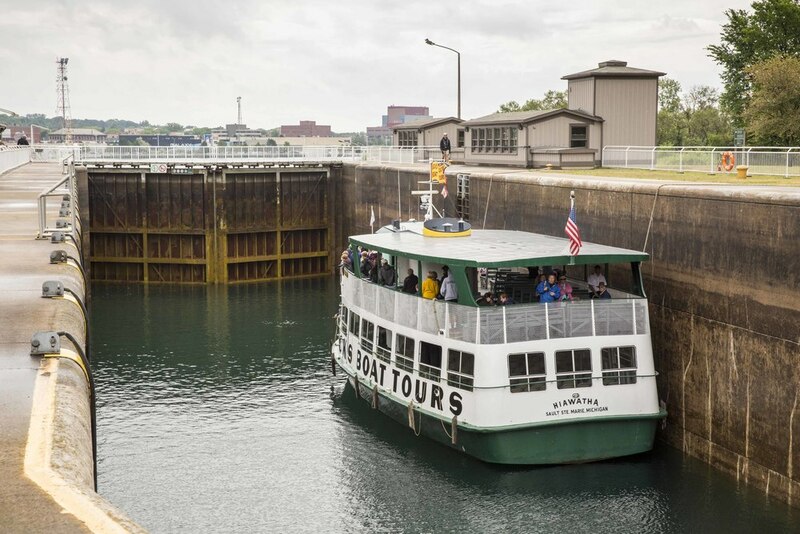 When you go in the locks with a boat, they take water in and out to make the boat the same level as the lake. 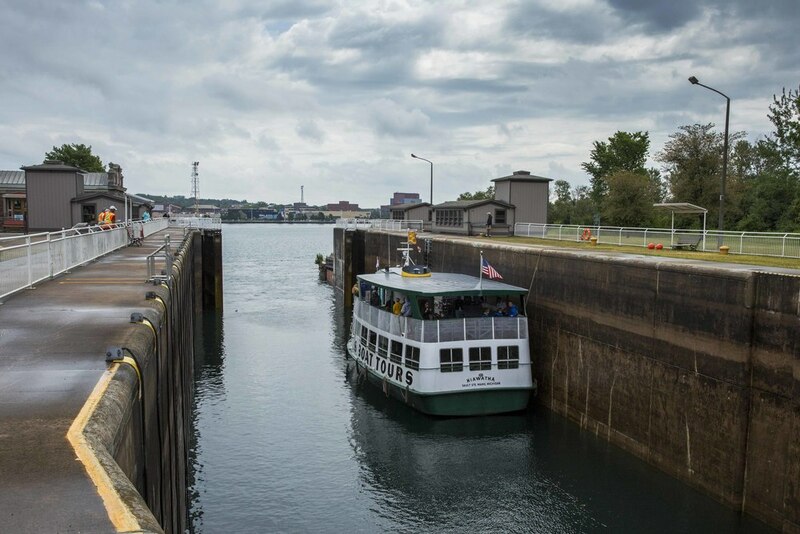 It was pretty cool to see the locks in action!